Salad is good for health. 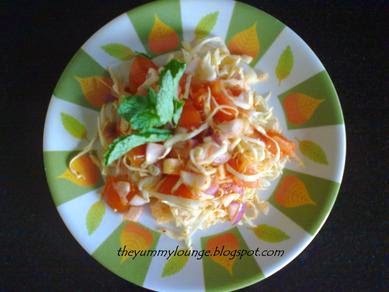 This is a Vegetable and Pasta Cheese Salad Recipe. 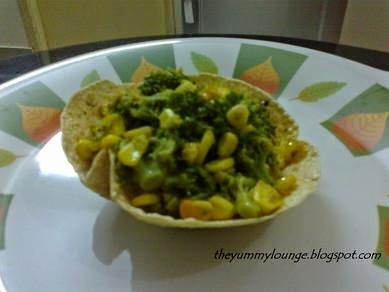 It is very easy to make and healthy recipe. This is vegetarian and having Italian ingredient pasta salad recipe. In bowl, add lemon juice, olive oil, black pepper powder, salt, mix well. Tear lettuce leaves with hand. Now add lettuce leaves, green capsicum, red capsicum, penne pasta and toss well. 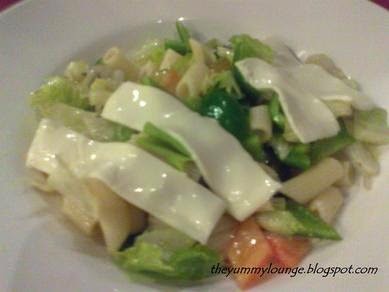 Vegetable and Pasta Cheese Salad is ready to eat or serve. This Vegetable and Pasta Cheese Salad can also be served chill. You can also served it as a side dish.